Whenever I work with resin I always end up with a little bit spare so I decided to coat this cicada shell. I slathered it in resin all over and then rolled it over every 15 mins for about 1.5 hours. After that I hung the guy up on a toothpick and as the resin slowly dripped off I picked it up and kept dripping it on. 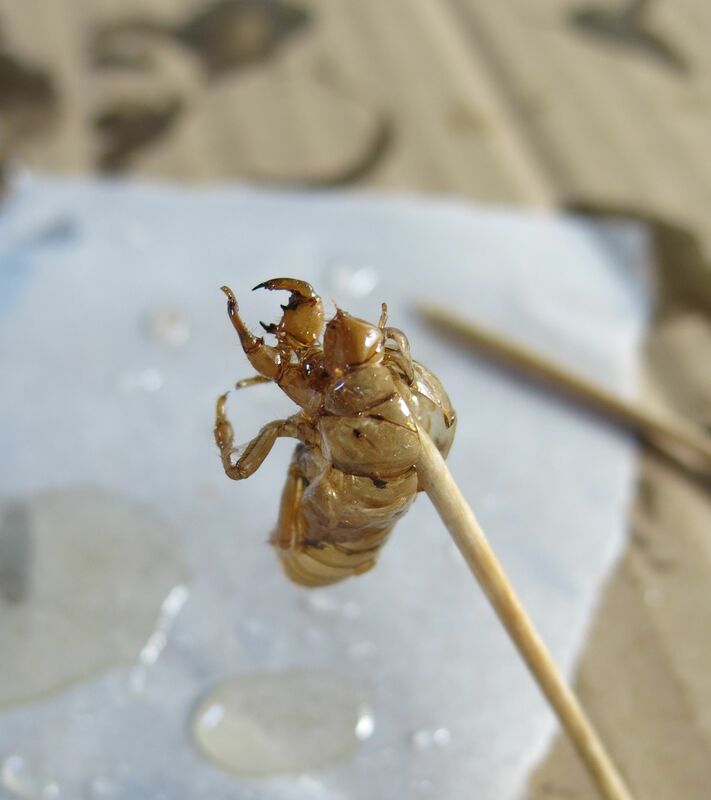 After about 2-3 hours the resin was getting very thick so I left the cicada to cure. 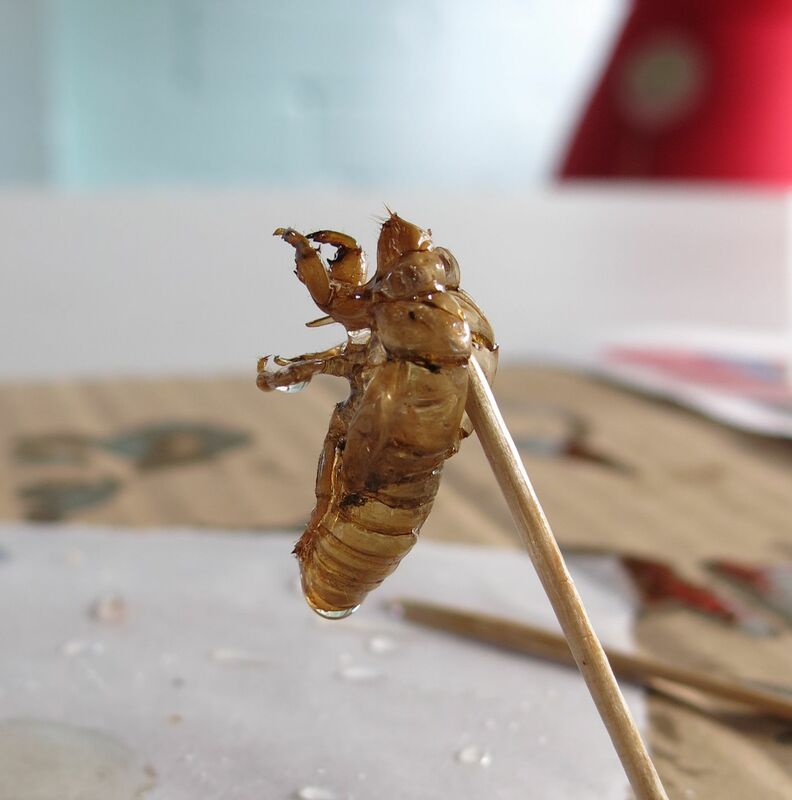 I am impressed with how the cicada has turned out as I really had no clue what I was doing. It is very hard and sturdy. I think I could do a second coat of resin to get this even sturdier and wear as a necklace, or add a brooch pin. The resin I used was Castin’ Craft from Over the Rainbow. 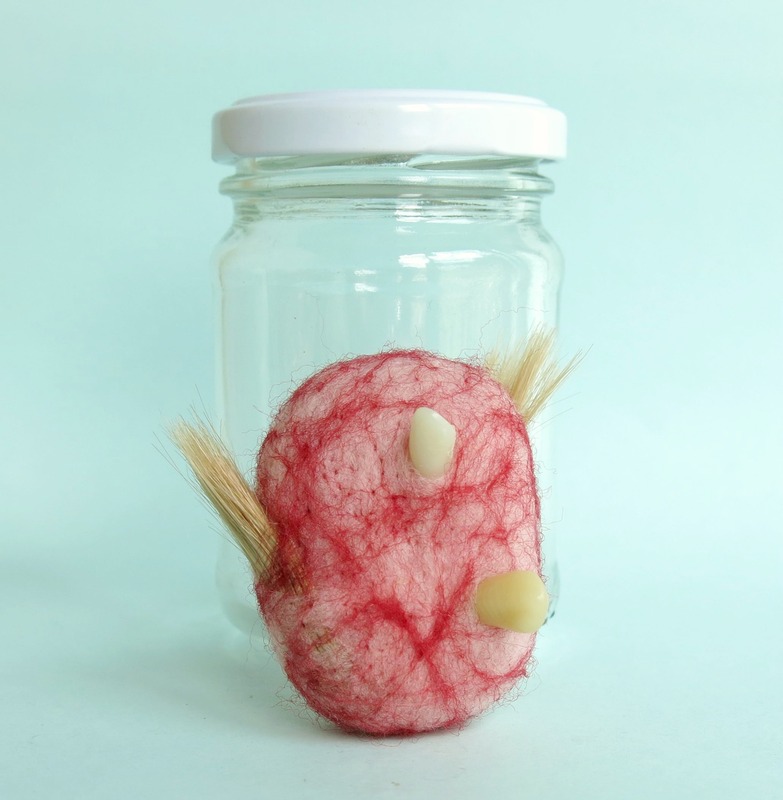 This entry was posted in Animals, Craft, Dead Animals, Your Organ Grinder and tagged cicada, insect, preserved animals, preserving insects, resin, your organ grinder on September 21, 2014 by yourorgangrinder. 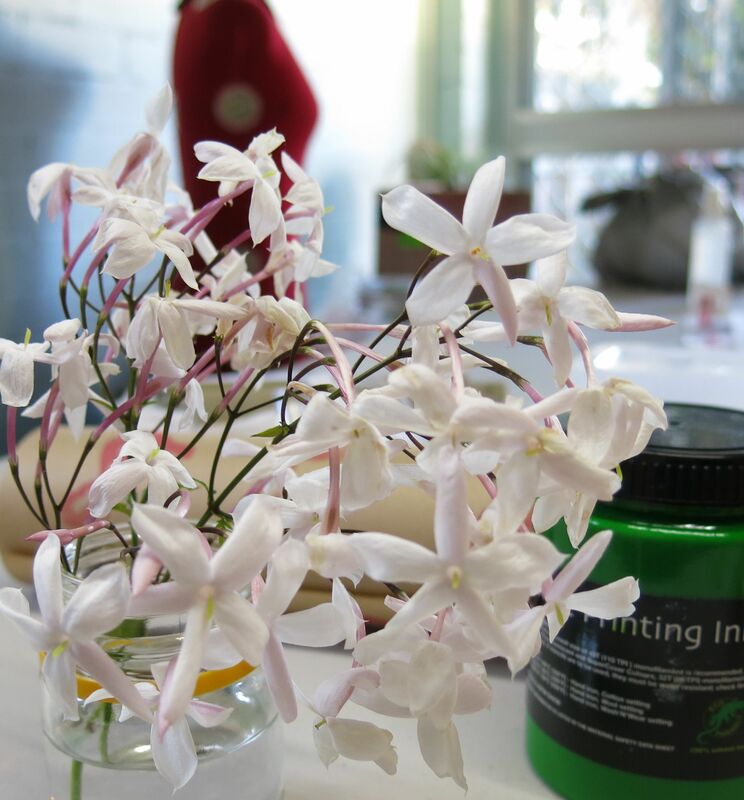 I often have a little jar (a vegemite jar at the moment) of flowers on my desk. 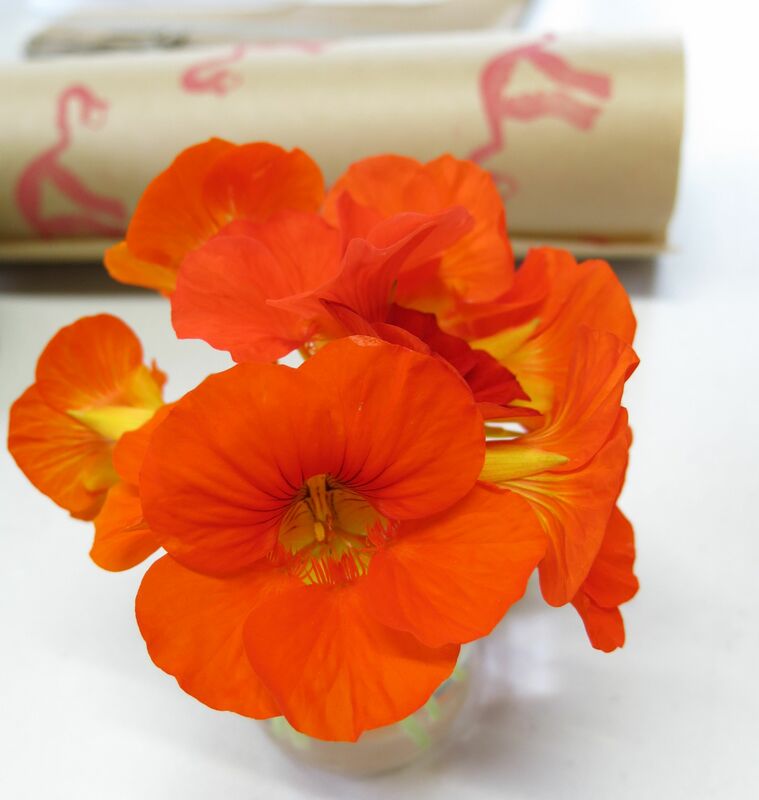 Although I have allergies I don’t react to some flowers, such as nasturtiums. I keep Jasmine in my bathroom as it smells lovely but gives me a terrible headache. Jasmine is not around for long, though. 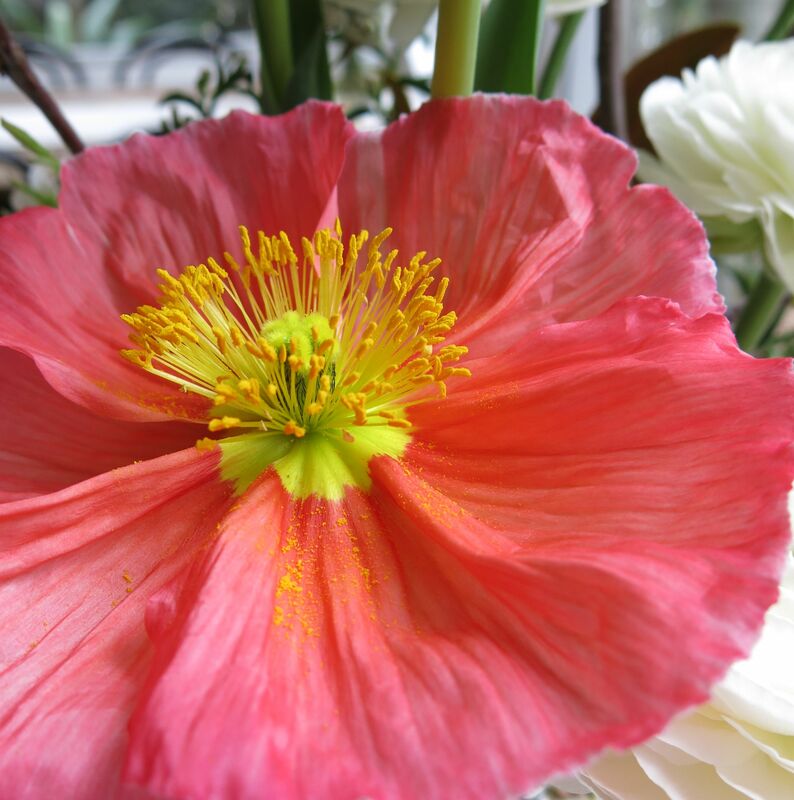 This poppy was in a beautiful bunch of flowers at my workplace, The Gardens Club. This bunch are sitting on my desk now. 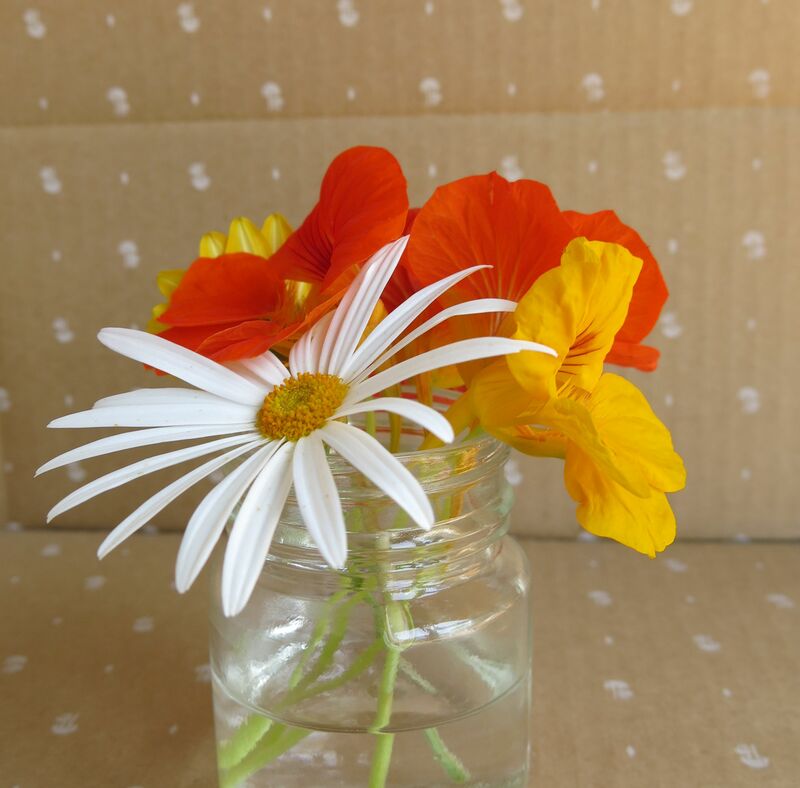 This entry was posted in Uncategorized and tagged bunch of flowers, floral, flowers, jasmine, nasturtiums, vase on September 16, 2014 by yourorgangrinder. Mars Bar Slice was haunting me, I was seeing it everywhere, there was no way I could avoid it, I had to make it. Melt 5 Mars Bars and 2-3 tablespoons of Butter in a saucepan on low heat constantly stirring. Pour into a bowl filled with 2-3 Cups of Rice Bubbles (I used 2.5 cups), mix together. Press into a slice pan, I used some baking paper to press it in as it stuck all over my hands. Cover with 200 grams of melted Milk Chocolate. Next time I will leave out the chocolate on top as I think it is unnecessary. FYI, I hate Mars Bars but this is delicious! 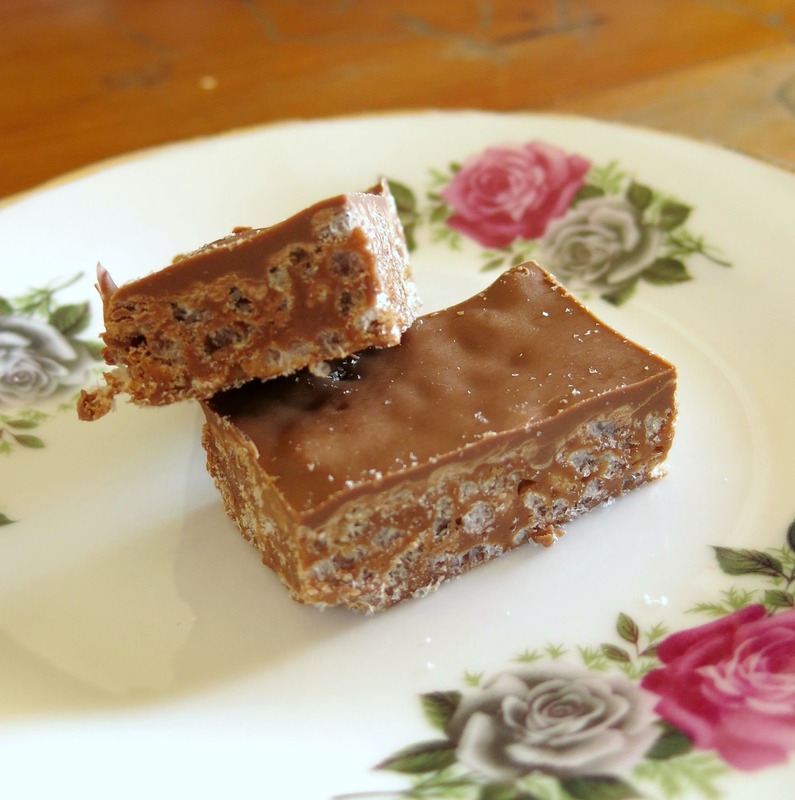 This entry was posted in food, Recipe and tagged 4 ingredients, afternoon tea, chocolate, easy dessert, mars bar slice, sweets on September 15, 2014 by yourorgangrinder. Another Uterus, this time it is a little guy! 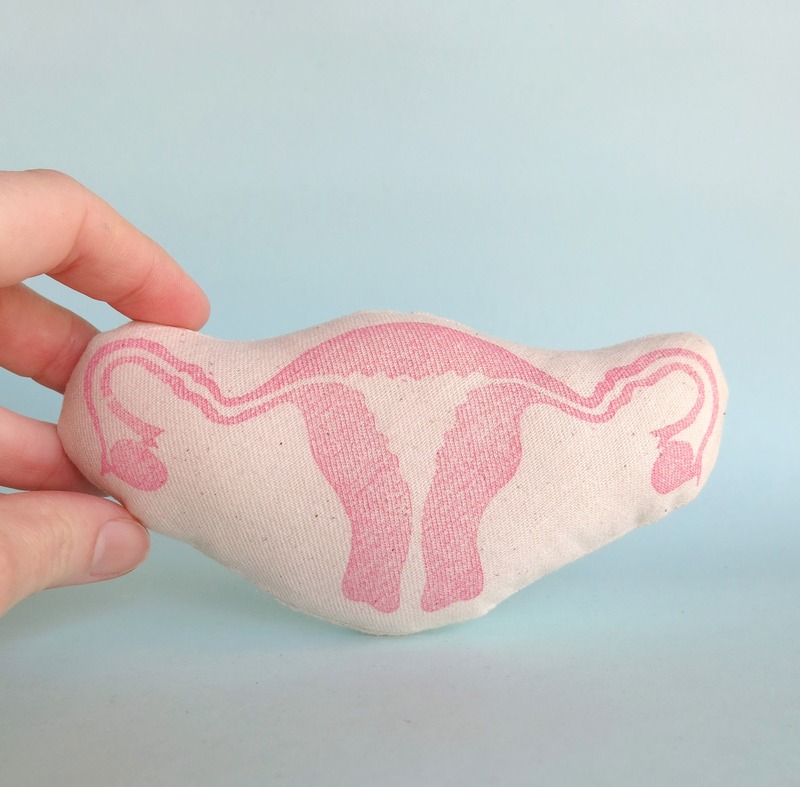 This is a mini mini plushy of a little stamped uterus. 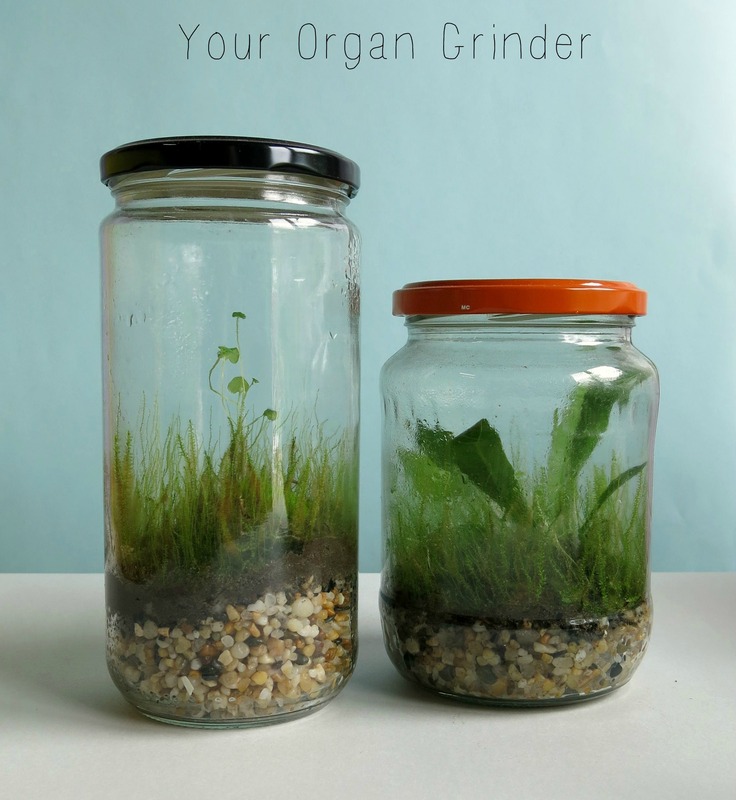 This entry was posted in Uncategorized on September 3, 2014 by yourorgangrinder.